An NRI (Non-Resident Indian) with earnings both abroad and/or in India often faces difficulties in managing his/her finances. They also find it difficult to track bank accounts in the different country, and also when trying to repatriate money to their home account. NRE & NRO accounts help with this. Wondering how? Read on to find more about this. In the article, we will cover the following topics. Why do we have NRE & NRO Accounts? What is a Non-Resident Rupee (NRE) Account? What is a Non-Resident Ordinary Rupee (NRO) Account? 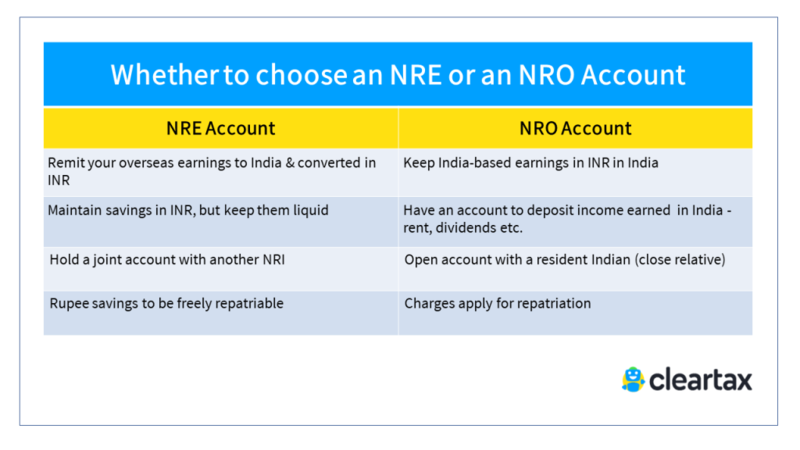 How to choose between an NRE & NRO Account? How is an NRE Account different from NRO Account? How is an NRE Account similar to NRO Account? 1. Why do we have NRE & NRO Accounts? As per the Foreign Exchange Management Act (FEMA) guidelines, it is illegal for NRIs to have saving accounts in their name in India. It is mandatory that you convert all your present savings (money earned abroad) to an NRE/NRO. Therefore, continuing to use the savings account in the home country can lead to complications like hefty penalties. Opening an NRE and/or NRO account is, hence, a viable option for Non Resident Indians. It can help NRIs in two ways. One, they can send the money they earned to India anytime they want. Two, they can also retain their income from India (via any assets) in the home country itself. 2. What is a Non-Resident Rupee (NRE) Account? The NRE account is an Indian Rupee denominated account and it gives you complete security. It can be in the form of savings, current, recurring or fixed deposits. One can deposit only foreign currency in this account, which gets converted into INR at the time of deposit. Therefore, you may repatriate the money in this account (plus interest earned) any time. And the interest is not taxable. Transferring money from the resident country to India is free, and you can earn higher interest too. The international debit card enables you to transact and withdraw money 24*7. Also, mutual fund investments too become easier and instant, if you link your NRE account number to the investment account. 3. What is a Non-Resident Ordinary Rupee (NRO) Account? An NRO account, on the other hand, is a savings or current account held in India for the NRIs to manage their income earned in India. Hence, it is a good way for account holders to deposit and manage their accumulated rupee funds. Once you deposit the money to the NRO account, the foreign currency is automatically converted to INR. You can apply for an NRO account jointly with a resident Indian in which the bank will give you both an NRO debit card each. It is even feasible to transfer money from your current NRE account. However, the interest you earn in this account is subject to Tax Deducted at Source (TDS). 4. How to choose between an NRE & NRO Account? 5. How is an NRE Account different from NRO Account? NRO account has restricted repatriability. This means you cannot remit more than 1 million USD including taxes from your NRO account in a financial year. It also require an undertaking along with a certificate from a chartered accountant. However, repatriation is free for NRE account holders for both principal and interest. If an NRI/PIO/OCI is earning salary, rent, dividends etc. in India, they can only deposit such incomes in NRO accounts. You cannot park any income you make in India in an NRE account. An NRE account is tax-free (no income tax, wealth tax or gift tax) in India. On the other hand, the interest earned in NRO account and credit balances are subject to respective income tax bracket. They are also subject to applicable wealth and gift tax. You can have a joint NRE account only if both the parties are NRIs. On the other hand, you can open an NRO account with another NRI or a resident Indian (a close relative). This is clearly specified under Section 6 of the Companies Act 1956. Unlike an NRO account, you can repatriate the money outside India in any currency for an NRE account. 6. How is an NRE Account similar to NRO Account? Both NRE and NRO accounts are Indian Rupee accounts. You can open them as savings as well as current accounts. Also, the average monthly balance you must maintain for both the account is Rs. 75,000. 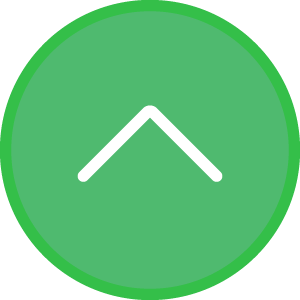 Based on your financial goals and requirements, you can choose either of the account types. These accounts are investment-friendly and you can make investments from abroad too. If you are confused about which fund to choose, ClearTax Save has handpicked investments that cater to diverse investors. Start investing and let the fruits of your hard work grow.